The 35-year-old formerly known as Chad Ochocinco pleaded no contest to head-butting Lozada during an argument in August. A plea deal that called for no jail time fell apart Monday. Former NFL star Chad Johnson will serve 30 days in jail after violating probation in a domestic violence case involving his then-wife, TV reality star Evelyn Lozada. A plea deal that called for no jail time fell apart Monday. Broward Judge Kathleen McHugh rejected it after Johnson playfully slapped his attorney on the behind in court. McHugh says Johnson wasn't taking things seriously enough, even after he apologized. McHugh also extended Johnson's probation for three months. The 35-year-old formerly known as Chad Ochocinco pleaded no contest to head-butting Lozada during an argument in August. The "Basketball Wives" star immediately filed for divorce after barely a month of marriage. 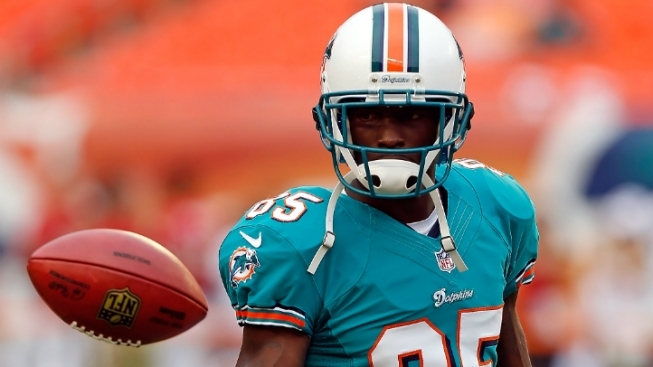 Johnson was subsequently released by the Miami Dolphins. He previously played for the Cincinnati Bengals and New England Patriots.